A glittering tribute to Paris, the City of Light: The Boucheron Small Diamond Classic Quatre band ring expresses unexcelled craftsmanship with four shades of gold in four patterns. 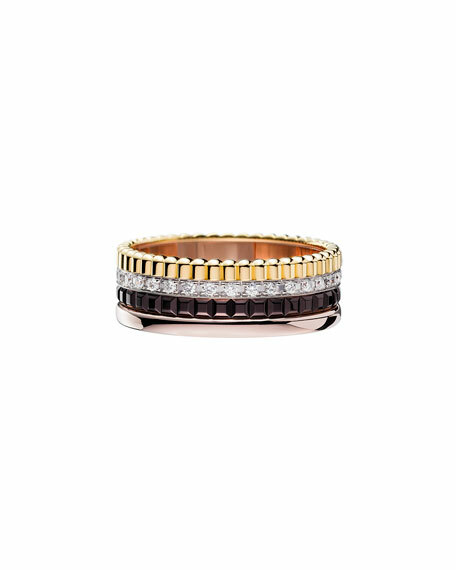 18-karat pink, white, yellow, and Boucheron chocolate gold in smooth, ridged, and studded bands. White pave diamonds set in white gold; 0.26 total diamond carat weight.